This Sunflower Bouquet MatMates seasonal welcome mat is created by using a dye-sublimation process that permanently dyes the non-woven polyester top surface. This state of the art process forces the dyes deep into the fibers of the mat making the fibers fade and stain resistant. This Sunflower Bouquet MatMates summer welcome mat is a gorgeous doormat that can be used as a stand-alone Welcome Mat or as an insert in one of our innovative and unique MatMates Outdoor Doormat Trays,= or MatMates Cushion Comfort Indoor Trays. 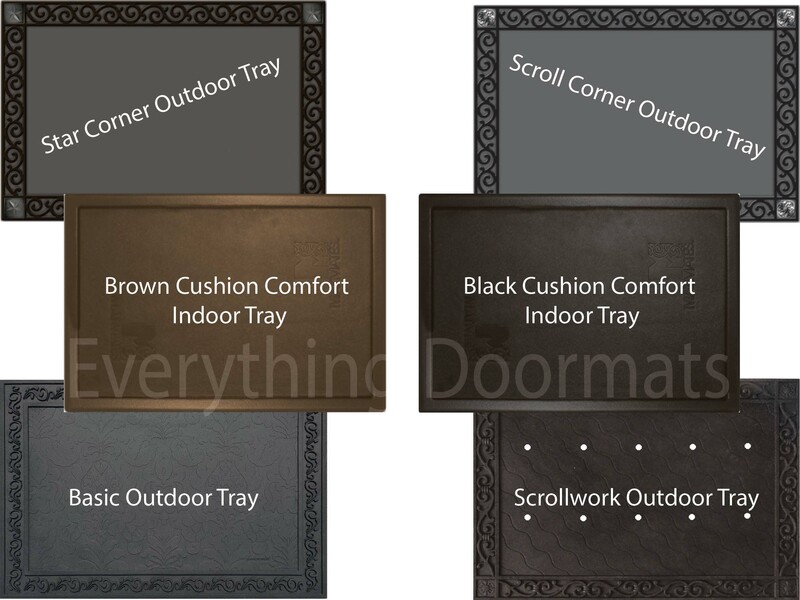 Although primarily designed for outdoor use, the MatMates doormat insert is well suited for use indoors when paired with the Cushion Comfort Tray adding a good non-slip surface to an ergonomic anti-fatigue PVC foam mat. Care for the Sunflower Bouquet MatMates flowers welcome mat is simple, hose off the mat when it becomes soiled and if needed scrub lightly with a soft bristle brush with mild soap. This seasonal doormat is 18" x 30" when used as a stand-alone mat. Note: The Sunflower Bouquet MatMates is pictured in our Brown Cushion Comfort Tray. The outdoor trays and Cushion Comfort Trays are sold separately.